Writers On The Move: Does Your Manuscript Pass the Quality Control Test? 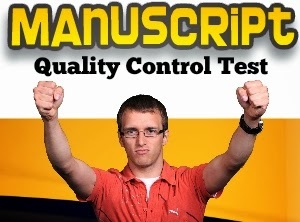 Does Your Manuscript Pass the Quality Control Test? Is your manuscript a quality manuscript? Is it the/best you can do at this time? Does your manuscript pass the quality control test below? If your answer to all of these questions is “YES,” you have a quality manuscript. It is the best you can do at this time. Your manuscript is a quality product ready for submission. 1. Does your writing show your distinctive voice? Holly Lisle. "Ten Steps to Finding Your Writing Voice." Stephen Peha. "Looking for Quality in Student Writing." 2. Did you choose the best person to narrate your story - First, Second, or Third Person. Here are two articles to help you decide. Deanna Mascle. "Should You Write in First or Third Person?" 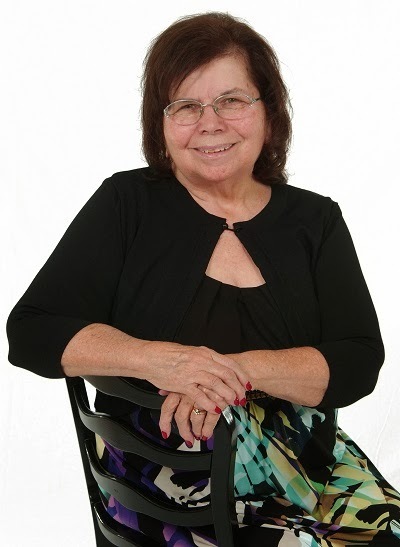 Ginny Wiehardt. "How to Start Writing in Third Person." 3. Does it have an Unforgettable Character with a flaw and a goal he is willing to jump off a cliff to achieve? 1. Tell what he wants to do, what he wants to happen. Which characters keep the main character from achieving his goal? Which characters help him? Write so that the reader feels the emotions that your characters feel. Let the readers know the contradictions that go through the character’s mind. 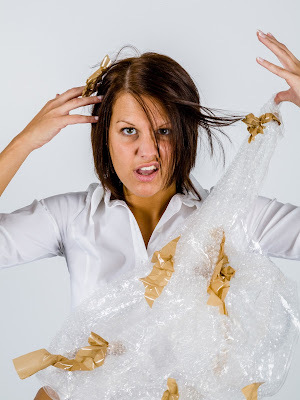 Tell the experiences that cause your character great stress, worry, anxiety, anguish, and/or sadness? What gives your main character great happiness? Make your character have to change in order to reach his goal. Think about the theme(s) of your story. This will help you determine the flaws of your protagonist. If you know what the character learns from his experiences, your fatal flaw is its opposite. In Liar Liar, the protagonist learns how to tell the truth. Lying was his fatal flaw. When the protagonist learns to be dependable, his fatal flaw was irresponsibility. If a protagonist finally gets up enough nerve to stand up for himself, he gains courage. Fear or cowardice was his fatal flaw. 4. Does it have a complete, compelling plot? 1. Does your manuscript have a beginning, middle, and a satisfying ending with each page filled with tension of inner and outer struggles of the protagonist so that reader anticipates the good and bad consequences of this character's choices. 5. Does it take place in an appropriate setting? Choose a setting that heightens the suspense of the plot and the problems of the main character. Where does this character have these problems? Why here? Why not somewhere else? Put your character with people, circumstances, and settings that make his flaw more noticeable in the beginning and his strengths more evident at the end. Enhance your manuscript by making the setting an integral and indispensable part of the story. 6. If your manuscript is not in quality condition yet, revise it. Look at it with a skillful eye. Change what you know needs revision. Then send it out for another look by your critique group, writing partner, and/or 3 beta readers. Give them three main things on which to focus. Does it have proper formatting and few pet words? Does it have correct spelling, grammar, punctuation, and sentence structure? Would your high school teacher give your manuscript an A or B? Any grade lower than a B is not acceptable. It has to be above average in this area to submit it. Did you repeat pet words or phrases numerous times within the manuscript with no purpose for emphasis, such as: just, real, very,what's up, what do you know, and it's a shame. Use the search and find tools in your word processing software to find words you usually repeat. Replace with a better word or delete it. The box is very flat. The hills are very steep. Her veil is very long. I just don't know what I'm going to do...repeated on page 10, 13, 19, 21, 25, and 32. What do you know?...repeated on page 6, 7, 8, 9, 15, and 17. Go through 6-7 versions (revise all the way through the whole manuscript). Use critique groups, writing partners, and/or beta readers to critique your manuscript.These trained eyes and ears will find and suggest ways to improve grammar and spelling, as well as improve the story, plot, characters, setting, continuity, and believability. "This is a quality manuscript. This is the best I can do with this manuscript with the knowledge and skills I have at the present time." After your revisions get your manuscript to the quality condition and it's the best you can do stage, then it is time to submit your manuscript. You are ready to start Week 1 of my Pub Subbers plan for submission. Do all the Steps for Weeks 1, 2, and 3. They take you through submitting your manuscript. Week 1 Get final proofing critique. Choose an editor, agent, or contest for your submission. Week 2 Follow the guidelines to write necessary documents: pitch, query letter, cover letter, proposal, resume, or bio..
Week 3 Pub Sub Friday-submission time. Not ready. It’s okay. Submit it when you’re ready. Week 4 Write, revise, critique, live, educate, motivate, celebrate. 8. Did you follow the guidelines of the editor, agent, or contest? Don't sabotage your own success. Follow the guidelines. Following the directions for the guidelines is the final requirement for a quality manuscript. When you don’t follow the directions, it lowers your grade to a C or lower. If it says, email submissions only and you send it by U.S. postal service, the agent or editor may not even read your submission. It may seem heartless, however, your submission may end up in the trash can. The editor or agent may think if you can’t follow these simple directions, you won’t be able to follow suggestions to make your manuscript a top notch best-selling book. I hope these ideas help you keep going, even when you feel like giving up. Good luck with the publication of your best quality manuscripts! Great post! I kept a work-in-progress in mind as I read your tips. And now I know I need to rework my plot. I want to strengthen the failures section of a story. I'm going to print out the plot steps and keep them in sight. Thanks for lots of good tips and checklist to use before submitting. Thanks for writing. I'm glad that you were able to think about a work-in-progress as you read my tips. And that it helped illuminate parts of the plot you want to strengthen. Awesome! You're welcome for the tips and checklist to use before submitting. Well thought out ways of helping improve a manuscript. I'm always delighted by how much info and how many helpful links you share every time you write, Joan. Certainly one to bookmark when doing the final checks. Grateful thanks. Thank you for writing. I'm glad yo believe the ways I mentioned will help improve a manuscript. It fills my heart with joy when you say you are always delighted with how much information I give and the links I share every time I write. You are welcome for the post. Joan, excellent post on writing. You hit on the many elements involved in a 'good' manuscript and how to improve them. I agree, this is a 'bookmark' post. It's easy to see you put a lot of effort into this and its' a great part of our December Writing and Marketing week. Thanks so much for sharing! Great links too! Thank you for writing. I'm honored that you believe this is an excellent post on writing. It is good that you believe I hit on many elements involved in a good manuscript and how to improve them. Joan, thank you for your clear step-by-step advice on how to improve out manuscripts. Thank you too for the great list of resources. I look forward to checking them all out. Thank you for writing. You are welcome for my steps to improve a manuscript. I am glad you believe I gave you a great list of resources. Please let me know the ones you found were especially helpful.